As much as I enjoyed last year's, I must admit, I loved this one even more! With every turn of the page I found myself drawn deeper and deeper into the lives of these four friends. What I love most about this and all Melody Carlson books I have read is that the characters are 100% real. They are not perfect people, they all have faults, they all have struggles. But in her books, as is in real life we see that even through tragedies and loss there is goodness to be found. For me, this book was such a beautiful example of that. I loved getting to know these ladies and their stories and wanted to keep reading more and more. Now, I know it seems like its pretty early in the year still to be thinking about Christmas, but such is the life of a review blogger. Still, I think it's nice to keep a little bit of that Christmas spirit all through the year! If you are looking for a great book to kick off your holiday season this year, this book is sure to get you into the spirit and serve as a beautiful reminder of the true spirit of the season. It may even inspire you to become a Christmas Angel yourself. 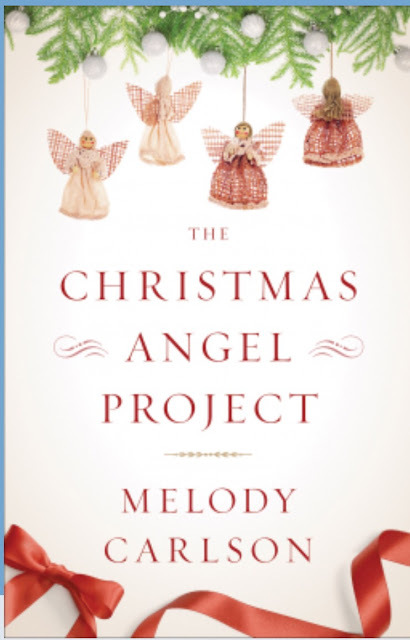 The Christmas Angel Project is available to purchase now. That sounds like a lovely book. Thanks for the review. Love it!! I love a feel good story too!! Especially around the holidays! !